The Boulder Junction Community Foundation (BJCF) started with a series of exploratory meetings beginning in March, 2010, to decide whether the time was right for a community foundation in the Boulder Junction area. Once convinced that this was an idea whose time had come, a volunteer citizen steering committee worked through the summer to develop the foundation’s structure through an affiliation with the highly respected Community Foundation of North Central Wisconsin (Community Foundation of NCW). Affiliating with the Community Foundation of NCW allows the BJCF to operate as a full foundation without the higher expenses of an office and staff required to administer a foundation. The Community Foundation of NCW provides expert staff to handle investments, primary recordkeeping, nonprofit tax requirements, and other business matters for a competitive fee. In September, 2010, bylaws were finalized and a nine-member board of directors was established to govern the BJCF. In October, the BJCF filedArticles of Incorporation and became a Wisconsin nonstock corporation. The BJCF also formalized their affiliation with Community Foundation of North Central Wisconsin, establishing a restricted endowment fund for Boulder Junction using their services. 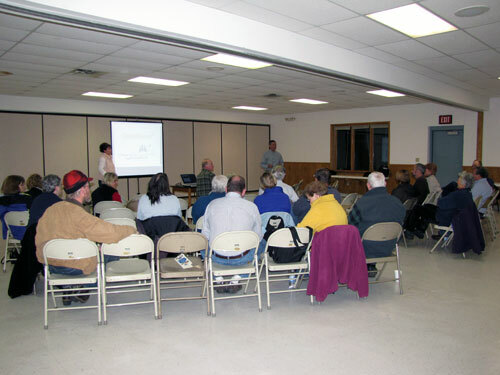 On November 18, 2010, the BJCF held its first public meeting at the Boulder Junction Community Center with the goal of introducing the Foundation and its mission to the community. The BJCF is registered as a Charitable Organization with the Wisconsin Department of Regulation & Licensing and is exempt from Federal income tax as a public charity under Section 501(c)(3) of the Internal Revenue Code. The BJCF is also a member of the Boulder Junction Chamber of Commerce. View BJCF’s organizational documents.